Played on its own, The Sims 4 can be pretty aimless. That's not a bad thing, but it does mean you can do stuff to spice things up and make the game more interesting. Enter challenges. Challenges come in all shapes and sizes, though most of them have been developed for previous Sims games. 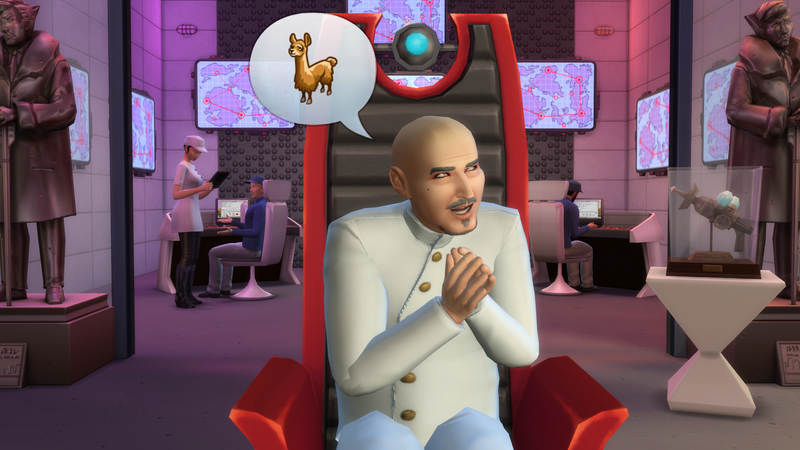 The Sims 4 community has started to create special challenges for The Sims 4, though. The Sims 4 legacy challenge, for example, is a special family-oriented type of playthrough of The Sims, developed by a player called "Pinstar." The Legacy Challenge is a set of self-imposed rules meant to change the way you play the game of The Sims 4. By abiding by the restrictions of the challenge and reaching for the goals of the challenge, you will find yourself getting a very different experience from The Sims 4 that you might have playing casually. The Legacy Challenge tasks you with creating a single founder Sim moving them in to a giant lot, and starting out in abject poverty. Your founder must build their house, build their wealth, and ultimately bring in the second generation to continue when they die. In this challenge you play a single family for 10 full generations. With less control over how your children turn out and more challenges thrown your way, the challenge asks the very important question. "What kind of Legacy will you leave?" Surviving to the 10th generation is good, but the challenge is more than just keeping a family line alive. You must both survive and thrive! That is where scoring comes in. There is a maximum of 100 points to be earned. There are 10 categories, each with 10 points available in each. There is also a 'penalty' category which can deduct up to a maximum of 10 points. The ten normal categories are all themed after the 10 aspirations. A Sim must be living in the Legacy Family home in order to earn points, but their actual aspiration doesn't have anything to do with the categories they can earn points for. No cheats/hacks/mods that give you an advantage over someone who did not use them. I leave this rule deliberately open-ended because of the sheer variety of cheats/mods and hacks out there that have been, and will be made. The rule of thumb is that using a specific cheat/hack/mod will not put your family in any better of a position compared to someone who did not use one. For example, money cheats like motherlode and kaching would be against this rule because someone who did not use them would have less money than someone who did. Where as a mod that, for example, created a brand new yellow shirt in CAS that your Sims could use, would be fine because having a pretty yellow shirt would not cause your family to gain any more points than someone who stuck with the stock clothing options. No restarting after bad events. Did your Sim get fired from a bad chance card? Did you burn down your kitchen because you forgot a smoke alarm? Did that baby get born a boy when you really wanted a girl? Keep the results and move ahead. Taking the bad events with the good makes the challenge more interesting and struggling back from failure states is half the fun. Restarting to recover from a crash, glitch, bug, or other technical problem is allowed. You may not move or merge in other Sims into the Legacy Family with the sole exception of that generation's outsider. (See the Spouse section for details). You may have non-heir family members leave the Legacy Family, but once they are gone, they may not be moved back in. The Legacy Family must remain on the same lot for the duration of the challenge. They are free (and encouraged) to develop their house but they may not move into a new house. Rooms may be imported into the house from the exchange as long as the family pays full price for the construction and items contained within. A Sim may utilize an anti-aging item ONCE in their lifetime. This includes drinking a youth potion or milking the cow plant. Any cheats that freeze aging or lengthen (or shorten) lifespan times may not be used.Sims lifespans must be set to "Normal" in the gameplay menu. You may not change a Sim's current aspiration. The exception is when they fully complete an aspiration. When that happens, you may choose their new aspiration, as long as it is not one they've already completed. You may not bring a Sim back from the dead once the reaper has taken them. You MAY plead with the reaper in order to save a recently dead Sim. You may not move/marry out the sim who currently holds the title of 'heir'. All of the other children in that generation (known as 'spares') may move or marry out. Once a sim moves out, they are ineligible to be heir, even if conditions change that might make them the rightful heir. When playing a Legacy Challenge, your legacy family is the ONLY family you may play in that saved game. You MAY move in new families into the neighborhood during your challenge (keeping in mind that they can be used for friends, but not spouses) but you may not play them. You can read more about the legacy challenge here. I think that, once my awful sim dies, I'll be trying this out. In the past, Simmers have come up with all sorts of creative challenges—like ones where you play out every single Disney movie, playthroughs where you try to go from rags to riches, playthroughs where you try to have 100 babies as fast as possible, and more. The point, I think, is to be creative with it, and to role-play a little—and in turn, make The Sims into a cooler experience. Perhaps this specific challenge isn't your bag. That's OK! I'm really curious to hear about how you guys are playing the game, and whether or not you're self-imposing specific rules to keep things interesting. Let us know in the comments.